Samjhana Moon is a photographic artist. She is also a visionary. Samjhana has taken her innate ability to capture the essence of people and places using the medium of photography into another dimension. She is passionate about redefining our cultural ideas of beauty and femininity by revealing the beauty inside every woman, irrespective of age, size or lifestyle. Since her first exhibition in 2009, Samjhana has helped hundreds of women say ‘YES’ to themselves. Revealing a person’s inner beauty can be transformational for the person involved. Her portrait gallery reveals not only the ability to make people feel at ease in front of the camera but also the rare gift of placing her subjects in natural settings that allows them to connect to their true and elemental selves. At the deepest level Samjhana’s work has supported women recovering from eating disorders and body dysmorphia. 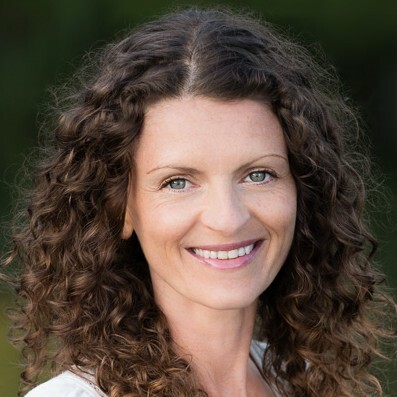 Samjhana began her journey into personal and spiritual development in her mid-teens and is passionate about conscious evolution. She fell in love with portrait photography at college and later developed a passion for landscape photography that inspired her to visit some of the most beautiful places on earth. An intrepid traveller, Samjhana spent 6 years exploring the world in her mid 20’s and early 30’s. Each of her trips was as much a pilgrimage of self-discovery as it was a physical journey. “Photography has always been a medium for capturing beauty for me and I’m excited to explore and promote this as a healing art-form. I’ve traveled the world in search of wilderness and found my own sense of self through the environment and the emotions each scene would invoke in me. Today I help other women find a deeper sense of self through working with the cycles, seasons and elements of nature. I provide a visual journey that helps to propel a woman forwards in life with a greater sense of self and the printed portraits serve as powerful tools of transformation.